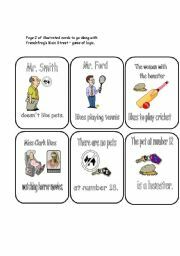 Once you´ve taught past tense pronunciation of regular verbs, let students test their knowledge with this fun, familiar game. 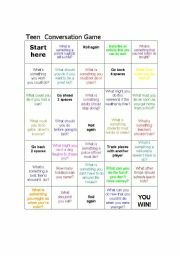 A nice Conversation gameboard for intermediate to advanced students to get them speaking,listening and asking follow-up questions. 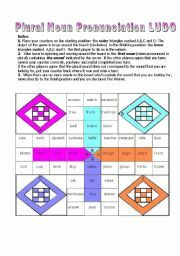 After my students have played it a few times, I give them a blank gameboard and let them fill it in with their own topics. Enjoy! Nice activity to get teens talking and reviewing questions with modals. 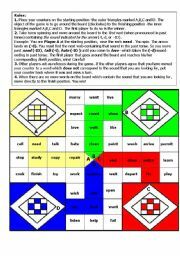 Played in small groups (3-4)per gameboard. Flip a coin, heads moves two spaces, tails moves one. Land on a square and answer the question. Other members of the group can then ask follow-up questions. My students enjoy this activity - I hope yours do too! 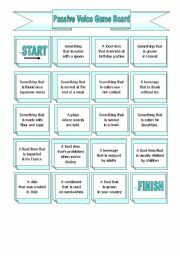 An enjoyable and creative way for students to practice using the passive voice. Instructions for playing and variations on the game provided on Page two of the worksheet. Enjoy! A fun way to reinforce the structure "Did you use to...?" It can be used as either a warm-up or end of class activity. Rules on page 2. Enjoy! A good mixer/warm-up to practice CAN + Verb. 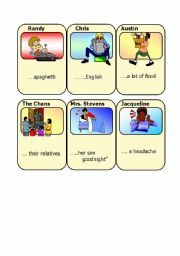 Print, cut and distrubute one card per student. Students search for a classmate who can do the things on the list. 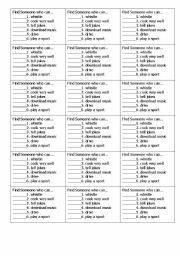 First student to find someone for each statement yells STOP! Mixer is followed by a quick discussion of who can do what. 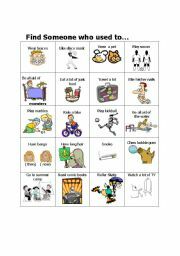 Once students have been taught the pronunciation of plural nouns, they can test their knowledge and practice through this fun familiar game. 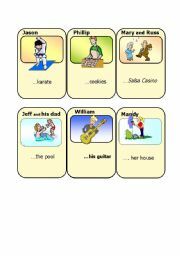 Go Fish Cards - can be used with different verb tenses - (present, pres. cont. past, present perfect. Make 4 copies of each card. Great fun. Hope your students enjoy this activity. This is page 2 (of 2) illustrated cards to go with frenchfrog´s Main Street (Who lives where?) Game of logic. I used this with my lower level students and found having illustrated cards made it easier for the students to envision the characters. If anyone has a problem with this, feel free to delete. A Tic Tac Toe activity for your interactive whiteboard with riddles related to Halloween. Tap the image under the question for the answer to appear. Completely animated presentation. Happy Halloween!